Dovevo acquistare il cellulare dopo che il mio si era rotto, ho trovato il redmi note 2 sul sito gearbest ad un ottimo prezzo e con spedizione dal magazzino europeo. Lo acquistato il sabato mattina (numero ordine W1606250425017054 del Jun 25, 2016 17:25:01 PM) è la domenica già era pronto per partire…incredibile. Dopo aver seguito il codice di tracciabilità su internet con i vari movimenti, ho ricevuto il mio cellulare il venerdì consegnato dal corriere SDA….spedizione rapidissima…il mio telefono arrivato in una sola settimana. Che dire sono felicissimo dell’acquisto è sicuramente continuerò ad acquistare da questo sito anche dal magazzino cinese perchè i prezzi sono veramente competitivi e con la nuova spedizione italy express anche le spedizioni risultano veloci. Consigliatissimo a tutti. I ordered many things from this site – e-liquids, phones (for example my order W1606081330088639 was dispatched on 2016-06-11 and I had it in my hands on 2016-06-24) – the dispatch was fast and the prices are really low compared to other online shops. Their support answer on time and resolve any issue you might have with your orders. I can recommend this site and if you want items cheap and fast – try it. Ordinato un atomizzatore wotofo serpent mini “Order No. :W1606150921010791” il 16 giugno approfittando degli sconti proposti dal sito, il prodotto e ottimo ed e arrivato nei tempi previsti. Acquisterò altri prodotti da loro e consiglio il sito per la vastità dei prodotti e per l’ottima assistenza. Заказал в магазине гербест экшн камеру и аксессуары к ней. Это вообще первая покупка в этом магазине. Почему я выбрал этот магазин? Там была самая лучшая цена.Я сравнивал с ебей, с алиэкспресс. Например сама экшн камера на ибее стоила 51 доллар, а в гербесте 46 долларов. Так я еще купил селфи палку и аккумулятор запасной. По доставке было так, 11 дней посылка висела со статусом не отправлено. Написал в службу поддержки, с переводчиком на английском писал. Ответили мне на русском, там русскоязычная техподдержка. Написали что товара временно нет на складе, но будет через пару дней. Предложили 2 варианта, подождать или вернуть деньги, да еще и какие то там баллы начислить. Решил подождать.В итоге доставка заняла в общей сложности 35 дней. Посылку привез курьер. В общем я остался доволен. Также они принимают оплату по Pay Pal, что добавляет уверенности. 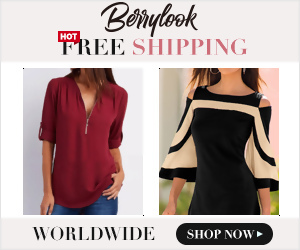 I can say that this website is marvelous and it provides a huge number of excellent products with excellent prices comparing with other websites. Sure that I will buy more products and I fully trust the site and the customer services who are replying immediately once I contact them. He comprado en varias ocasiones y todo ha llegado en un tiempo bastante bueno, responden las dudas y tienen precios bastantes buenos en comparación a otras páginas. Very quickly arrived at the product. Everything was fine, I recommend the site to others. In addition to being a scam operation, I’m fairly certain that Gearbest is a shill for Chinese Intelligence and/or an identity theft ring. They require “verification” of your identity … After They Have Your Money … by requiring a scanned copy of your DL or Passport … Etc., Etc., … AND they really want your signature on something. Thank you very much for recent order on gearbest! We have sent you a new message entitled ‘Please confirm your gearbest order W1604011735541*** for payment verification’ in your gearbest account. Once we have received your reply, we will typically respond you within 24 hours (except weekends and public holidays). We will process your order as soon as we receive the payer’s ID confirmation. 3) If you paid this transaction by credit card via paypal, please write down the credit card number for the first 4 and last 4 digital numbers, (for example 6011*****5871 ). As far as I am concerned, PAYPAL and AMAZON are Complicit in the scam. YOU are not supposed to see our credit card details … That is why you don’t have them … Paypal is responsible for payment verification, which is done as a matter of course within the credit card system in the US. YOU (a supposed retailer in some podunk village on the Yang Tse River) have no way of knowing if My picture… or credit card … or Passport … or signature … or ID cards are legitimate or not. YOU already have the money ( $400+ ) a valid Paypal Credit Card Order and you don’t require anything else. I’ve received No reply of course. NOTE: Nearly every positive review of this company is Fraudulent … actually placed by one outfit Shanghai and another in Shenzhen, mainland China … Quite sophisticated. My name is Ali Jamal, I’m from Jordan and I’m a big fan of Xiaomi phones (Chinese Brand), I’ve checked out many online stores to buy “Xiaomi Redmi Note 3” Smartphone and just came into Gearbest.com website by chance. 2. Full Refund or resend package in case of missing or faulty product. 3. Many shipping options with tracking number and insurance. I made my first purchase, received my order number, tracking number and even an image for my package and I was really pleased with their accuracy and honesty in dispatching my package to the shipping company in the 3rd day as stated in the product page in their website. After 8 days, shipping company in my country called me stating that my package were lost, it was very frustrating for me but I’ve contacted GearBest support immediately and thanks GOD they replied my ticket at the same day and told me that they have to check my package status with the shipping carrier. After some days, GearBest support contacted me apologizing for the delay and not receiving my order, they said that my package were lost during shipping and they take the full responsibility for that, they also offered me 2 options: either a FULL REFUND or Resend my Package for FREE and I chose the first one..
Do NOT, Go Ahead and be sure you will always get what ever you order from GearBest. And shipping is very slow. Could you please tell us your order number or ticket number? Could you please email to support@gearbest.com with the title “ keryet complaint from Lkj ”? Once we received the details, we will check and deal with this issue to your satisfaction. I have waited for well over 3 weeks for an item with totally unsatisfactory responses regarding delivery. I would never order from there again. additionally there was no indication where the product was coming from so I had no idea was a Chinese company. Customer service was atrocious with no direct answers about delivery or how to correct my situation. According to the information you provided, I don’t find your order. Could you please email to support@gearbest.com with the title “ keryet complaint from catalina ”? We would like to solve your problem to your satisfaction once received the information. I have to read a lot of bad comments and hating posts about them, which confuses me a lot. Wholesale is not my area, so im not able to talk about, but normal customer shopping, i have a lot of experiences. And i wanna recommend one website, i know since some months now…. Im really happy about, to come in business-relations with the guys from gearbest. They are always friendly and on buyers orientation, also if there are any questions and troubles, and the website is very convenient to use, stable, and full of interesting products. The standard prices are not the cheapest, but you have to notice that they offer free shipping for each product! If youre lucky you find an cupon code or Flash Sale, which makes gearbest-offers, the cheapest (i know) including free shipping all over the world! That is absolutely amazing. Yes, the delivery time is long. Very long for european or US Standards, but i mean they ship from China… Two or three days by free shipping is not possible for an profit-company. My experience is, the most orders lasts three weeks to delivery. WW1506260033143396 on Nov 5. yes, i ordered today again. and one or two others which i did on my second account, because i did an mistake while the paying process, which opened a New account instead using my original gearbest profile. That was my, respectivelly paypal’s fault. Sometimes i recieved after two weeks, sometimes it lasts a little longer. I had just one parcel, which was an mistake, about $3 which lasts more than 45 days (which is the time line, where gearbest starts investigations what happend with it). So i opened a ticket, and they told me that my parcel arrived them back of any reason, and gearbest asked me to send again or refund. On the next day, i had this $3 on my account. So, out of my experience i have to say, 2-3 weeks is the Standard delivery time with gearbest.com. And honestly, thats absolutely ok, in fact of free shipping. By the way, usually i choose “add tracking number”, which costs anything by $2 on the shipping options, because its a long way from China to Europe, and gearbest recommends that too. There should also be the opportunity for you, to choose an shipping Insurance which costs $1,50 or $1 im not sure. So, all in all gearbest is a really fair acting, China shop, with good prices, free shipping, and an very good customer service! with very kind people. They started an german warehouse now (they also have for the USA! ), with its own facebook profile and service. Im happy with them, and i think, before people write/post bad ratings and comments, they should give them the chance to offer a solution! And everybody should always stay friendly, in my opinion thats the way to get in good relations. ALL CUSTOMERS BEWARE! I paid for this order on Feb.19, 2015. As of March 25, 2015, I have not received the merchandise/order. I have waited 35 days. GEARBEST tracking number states “Origin Post is Preparing Shipment “, which is defined as order was never shipped. Customer Service is in an unknown location (not in USA), and will not provide any information on a shipping or a delivery date. GEARBEST refuses to refund the amount I Paid in Full on February 19, 2015. GEARBEST accepts buyers payment, but provides nothing in return!!! and I am no closer to getting my Phone. Thanks for your message and inquiry. we sincerely sorry for not shipping your package yet. We have sent your package to carrier company. Carrier company will send it out today or tomorrow. If there are any additional problems or further queries, please do not hesitate to contact us. Thanks for your message and inquiry. we can refund you the differnce price 10USD($161.89-$151.93) after send your package out. Due to business expansion, our existing warehouse capacity has been insufficient to meet the needs of the business. So we are moving to a larger warehouse these days to meet the increasing demands of all our valued customers . In this situation, it may cause a delay on dispatch and we wish to apologize for any inconvenience that may be caused. We are willing give you 6% discount (discount code : MAXY )for your next buy as way for compensation, please wait for 1-2 days. Thank you again for your valued support and understanding. It is 09/23/2014 coming up on 30 days since my order was paid for…. expedited shipping …..
Only $135.99 For CUBOT S308 5.0” IPS 2GB RAM 16GB ROM 3G Smartphone! 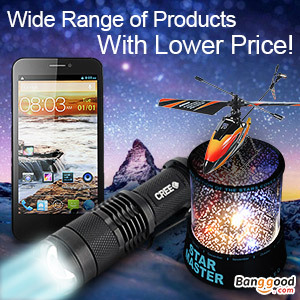 Coupon Code: GBS308http://www.gearbest.com/cell-phones/pp_67022.html has my phone shipped yet? Front camera: 8.0MP FROM GEARBEST SITE! We sent it to carrier company and we are asking for more information about your order,please wait for it. as to its location. 31 days has passed since you received payment. need I remind you “expedited” shipping! I should have received the phone weeks ago! As Frustrating as that is, I would be happy to see a tracking number. Thank you.